Celebrate the Lunar New Year with mahjong and Cantonese food at the MahJong Room. 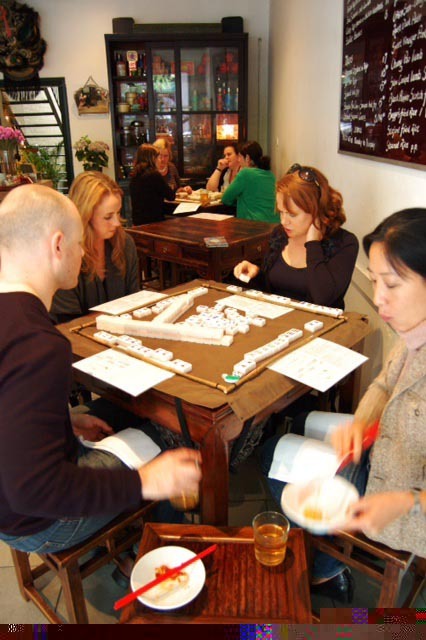 This modern Chinese restaurant in Surry Hills offer a unique way to experience the traditional game of Mahjong popular in Hong Kong. Entitled 'MahJong PlayLunch' you and your friends can learn how to play this game while enjoying delicious Cantonese dim sum. Each game requires 4 players per table and bookings are avaailable in groups of 4, 8 or 12 people only.